[Jesus concluded his explanation of the parable of the sower and the seeds:] "And the seeds that fell on the good soil represent honest, good-hearted people who hear God's word, cling to it, and patiently produce a huge harvest." Good soil! That's what the message of Jesus, the gospel of the Kingdom of God, is looking to find. What is that good soil? It is a heart that is open, honest, and good — a heart that is genuinely searching for truth. Is that your heart? Fruitfulness is the natural spiritual result of a heart that is open to God and that clings to the message of God's good news. How's your heart? O Father, may the words of my mouth and the meditations of my heart be pleasing to you. Guard my heart from evil. Protect my heart from pettiness. Use your Spirit to cleanse my heart of every residue of evil, unrighteousness, and ungodliness. 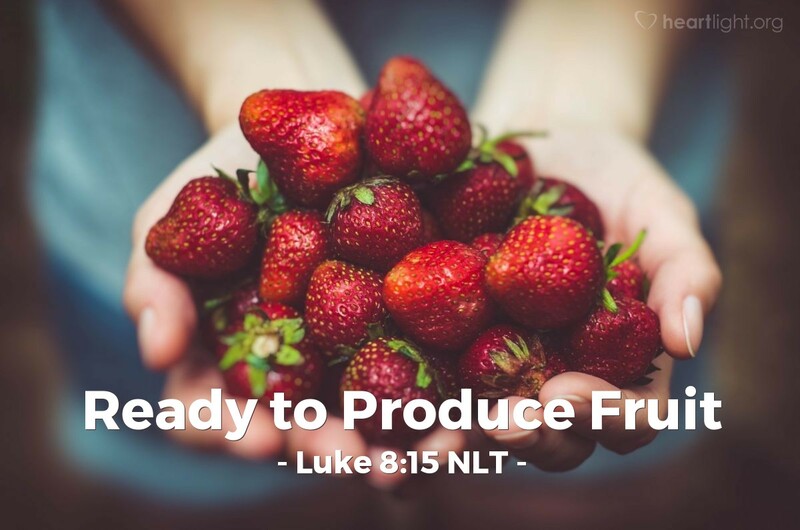 Purify my heart and make it ready to produce the fruit of your character, grace, and love. In Jesus' name. Amen.